Amber is the firms Director of Marketing, handling both the on-boarding process for new clients as well as the relationship management of existing ones. Amber's industry experience makes her a valuable asset to our firm in both the financial planning world, as well as in her desire to ensure each and every client, new or long standing, has the very best of us at their fingertips. 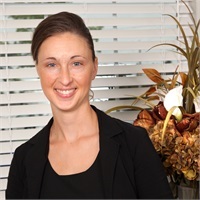 She leads her department in all areas of guiding new clients through our financial planning process, walking with them every step of the way to create clarity, ensure no detail is missed, and above all deliver exceptional service while our clients learn more about our firms processes to help them achieve complete financial independence. A native to Florida, former Texan and current Ohioan, Amber and her husband Brent recently celebrated 17 years of marriage and have three children. She is incredibly proud of her husband's honorable service in our nation's military, but these days they enjoy nothing more than spending time at home with their family and friends. Amber serves as a Sunday school teacher at New Life Tabernacle where they attend church. Watching her children play sports, taking family vacations, and visiting family in different states are all passions of Amber's as well.